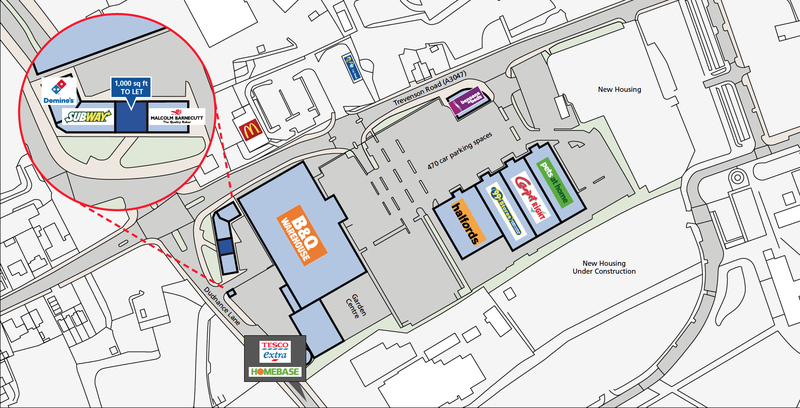 The Camborne Retail Park is an established shopping destination serving this area of Cornwall with an extensive offer from 10 units totalling 101,000 sq ft. It is part owned and proactively managed by the Group on a day to day basis. Click on brochure or agent link for details of last remaining unit. 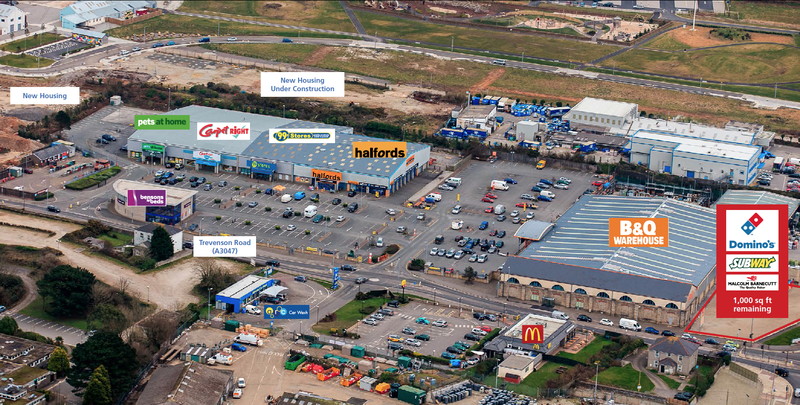 Anchored by a 50,000 sq ft B&Q the current tenant line up includes 99p Stores, Pets at Home, Halfords, Carpetright and Bensons for Beds. Phase 3 of 5,000 sq ft has just been completed with units let to Domino's, Subway and Malcolm Barnecutts Bakery.